There is nothing better than to breath and play like one in a big bass section. Even if it’s a ‘simple’ bass pizzicato in for instance Mahler’s Fifth Symphony Adagietto. When you manage to make it sound like one falling tear, I am reminded why I play the double bass. Also, when played with a lot of energy and phrasing, a bass line can lift and carry the entire orchestra. At the Swedish Radio Symphony Orchestra, we have the luxury of scheduling a group rehearsal every week. This is one of the best things I experienced in a bass section, working for almost 10 years: being able to intensely look at the repertoire, bond with 8 different personalities and form ‘our’ sound. It has been such a pleasure to be and have been the principal double bass in orchestras such as the Rundfunk Symphony Orchester Berlin, London Symphony Orchestra (guest), Swedish Radio Symphony Orchestra, Royal Concertgebouw Orchestra (guest), Amsterdam Sinfonietta and Mahler Chamber Orchestra. They have completely different personalities and ways of playing. It is such a great challenge and learning experience. 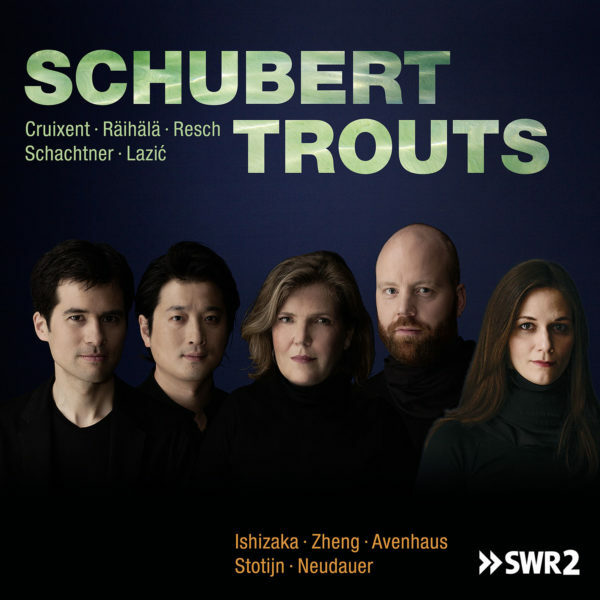 Additional to a new recording of Schubert’s Trout Quintet, five European composers were asked to quasi-casually prolong Schubert’s ambivalences into the present by supplying their own variations. In my ‘own’ ensembles, the trinity of Friendship, Inspiration and Chamber music makes for inspiring beginnings. It can also be other way around, when you are invited for a festival or a project and you don’t know your fellow colleagues upfront. The project Trouts, which started with a CD recording in May 2018, is such a project. Nobody knew each other or had previously played together and we started not only with Schubert’s famous Trout Quintet but also with five new pieces in this chamber music setting. Luckily, this group turned out to be something quite special and friendship was created from Day One. We will have concerts promoting the CD in the upcoming years. Going back to (double) basics and someone who is incredibly important as a close friend and amazing luthier is Harry Jansen. A friendship which started between Harry and my father, and was passed on to me. I know Harry since I was 4 years old. My father took me to his workshop in Amsterdam. I hadn’t even started to play the bass, but I was so mesmerized by the way Harry would restore or create this huge instrument out of piles of wood. It made me want to try and play one of his instruments when I was big enough. And so it happened. My father ordered a small bass from Harry for the Utrecht Conservatory where I started the young talent education at the age of 10. The bass is still there. In the meantime I play another beautiful double bass. It was made by Harry for his 25 year jubilee as violin maker and – as it happened – our 25 years of friendship. Speaking of close friends: my sister Christianne and I have been working together quite a bit in the last years, and will be recording newly written pieces for mezzo soprano and double bass soon. We did a very nice European tour, together with pianist Joseph Breinl after I won the Dutch Music Prize and this was one of the best experiences I had. Rehearsing (lots of giggles) and sharing the stage together feels like being little kids again. I am incredibly thankful and blessed that we are able to share music in friendship and family. In the header image, Christianne and I are performing Michel Van der Aa’s And how are we today? at the Trondheim Kammermusikkfestival 2018. 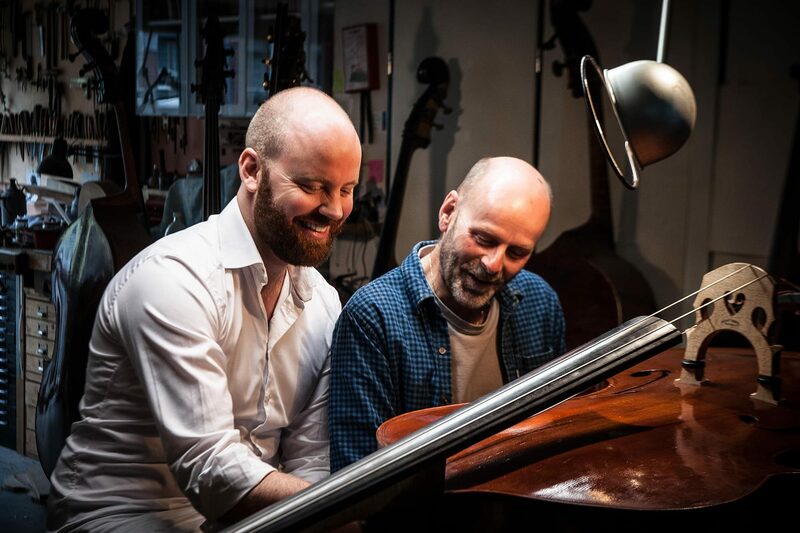 Written for her, pianist Joseph Breinl and myself, Van der Aa describes the piece as ‘a high energy, jazzy work with a theatrical layer and a virtuoso double bass part. Van der Aa – And how are we today? Written for Christianne & Rick Stotijn, and Joseph Breinl. Commissioned by the AVRO Prinsengrachtconcert 2012. Lyrics: Carol Ann Duffy. Rick Stotijn plays an arrangement of Schubert’s Der Atlas with Julien Quentin, piano. 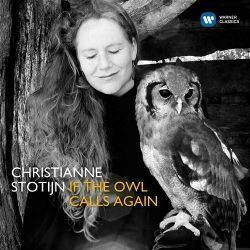 Recorded at Muziekgebouw Amsterdam, 28 September 2016. Boris Brovtsyn, Julian Rachlin, Julia-Maria Kretz, Vilde Frang (violin), Amihai Grosz, Lawrence Power (viola), Jens Peter Maintz (cello), Rick Stotijn (double bass). Recorded at the International Chamber Music Festival Utrecht, 25 June 2014. Rick Stotijn, Cecilia Bernardini, Jeroen Bal perform Invierno Porteño, from Cuatro Estaciones Porteñas by Astor Piazzolla (arr. Marijn van Prooijen). Julien Quentin (piano), Rosanne Philippens (violin), Vladimir Percevic (viola), Ella van Poucke (cello), Rick Stotijn (double bass). Live recording 28 September 2016 at Muziekgebouw Amsterdam.